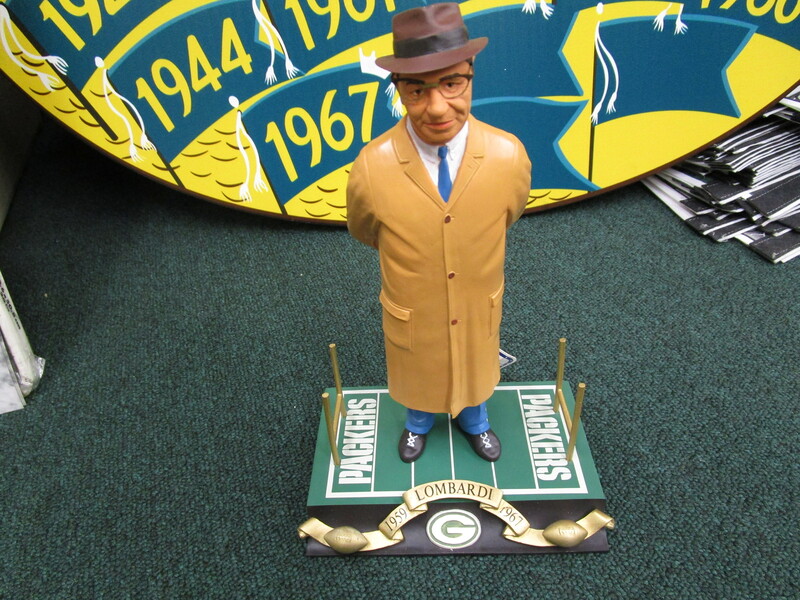 WE are offering this Sports Impressions Green Bay Packers Vince Lombardi Resin Statue or Figurine. 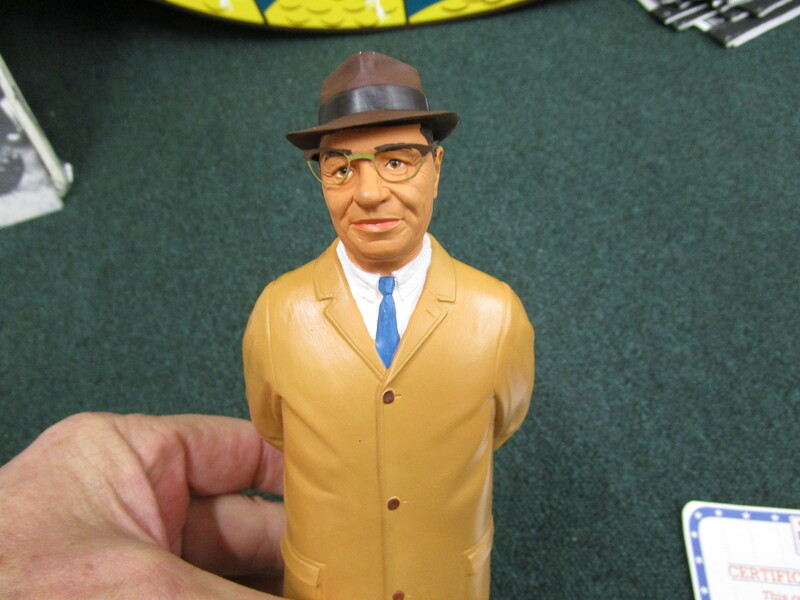 It measures 9 1/4" high and base with goalposts measures 5 3/4" long. 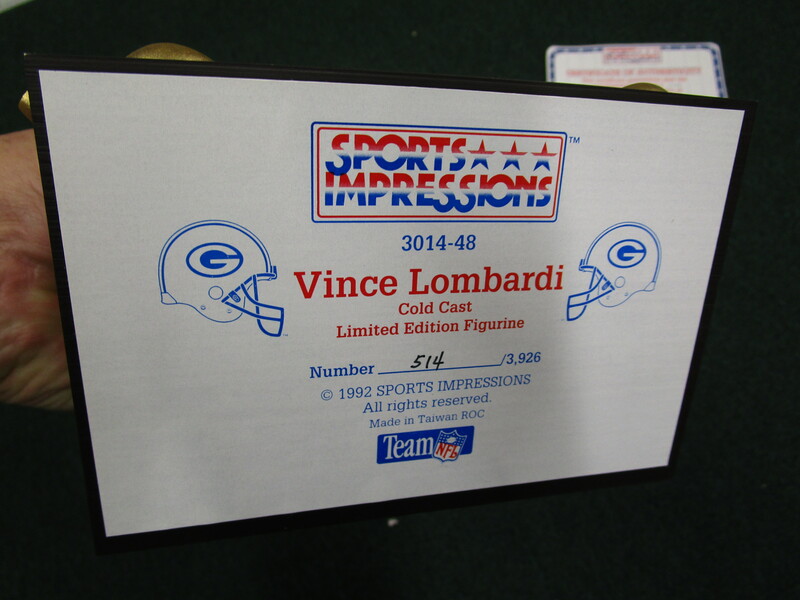 Base is decorated with "Lombardi 1959-1967" and the Packer "G" logo. 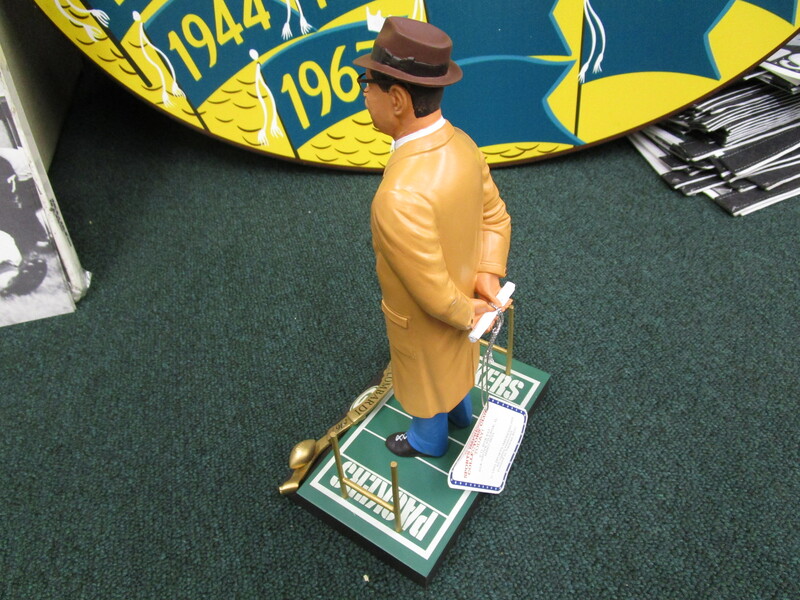 Statue is in Mint Condition and comes with the Original Box and Matching Numbered COA. Statue dates to 1992.